Have you seen our VBS 2011 videos? I know it’s almost Christmas, but 2011 will be here before you know it!! Are you ready to start prep for your VBS next summer? 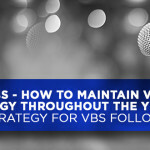 Here are some of our videos about VBS 2011 to get you prepped and ready for next year’s VBS! Hope these videos get you excited about all the possibilities for having your own Big Apple Adventure in 2011!! VBS – Produce Your Own or Use a Complete Resource?